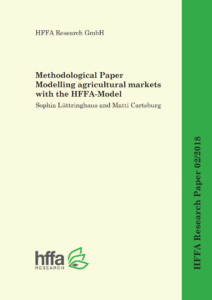 Our latest research paper takes a closer methodological look at the market model which is used for the modelling of agricultural markets by the HFFA Research. The corresponding authors, Sophia Lüttringhaus and Matti Cartsburg (both HFFA Research), explain the objectives of the model, as well as the theoretical considerations which must be made. 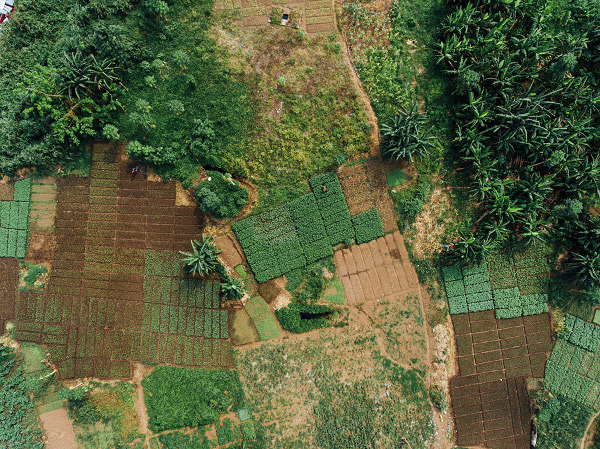 The HFFA-Model does not only provide insight regarding the shifts in supply, demand, trade flows and prices of agricultural commodities but it can also additionally analyse direct or indirect changes in global land use, water consumption, greenhouse gas emissions and biodiversity. Global trade is highly globalized and interconnected. This is why HFFA Research developed and calibrated a so-called multi-market model, which is considered a special subset of partial equilibrium models. This model allows the analysis of a variety of different specific questions posed by our clients. Not only can the effects of different policies and scenarios be modelled for the country in question, but intra-regional interdependencies are also considered. This allows a more realistic modelling approach. The HFFA-Model can also be very helpful to analyse the impacts of political or societal decisions. The results offer decision-makers indications regarding potential policy decisions. In addition, the HFFA-Model can be supplemented with several satellite or add-on models, which have also been developed by HFFA Research, and which allow further analyses beyond pure market economics. A paper regarding these extra models will be published in the future. The Conclusions of this study can be downloaded below (English and German).